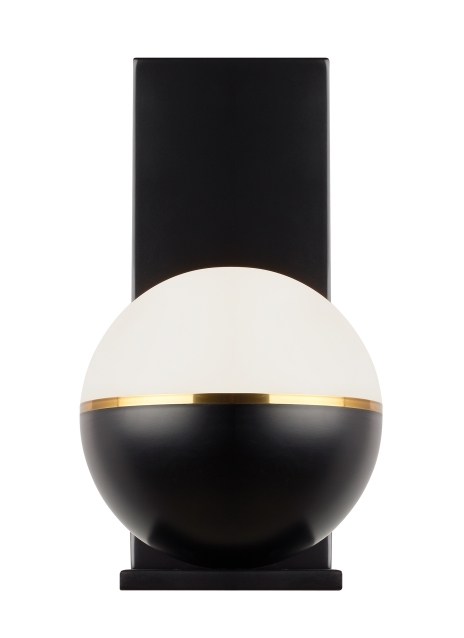 Inspired by mid-century design, the Akova LED wall sconce light from Tech Lighting elevates the simple sphere into an elegant contemporary statement. Distinctly divided into three unified regions, each fixture features a metal housing available in three on-trend finishes that is briefly separated from an incredibly smooth acrylic diffuser by a complementary decorative metal band. At 7” in diameter, this wall sconce light has a distinct presence in the spaces it illuminates and can be used in combination with coordinating Akova ceiling light or Akova pendant lights as accent lighting within a contemporary kitchen or dining room. Includes 14 watt, 556 delivered lumen, 2700K or 3000K LED module. Dimmable with low-voltage electronic or triac dimmer.